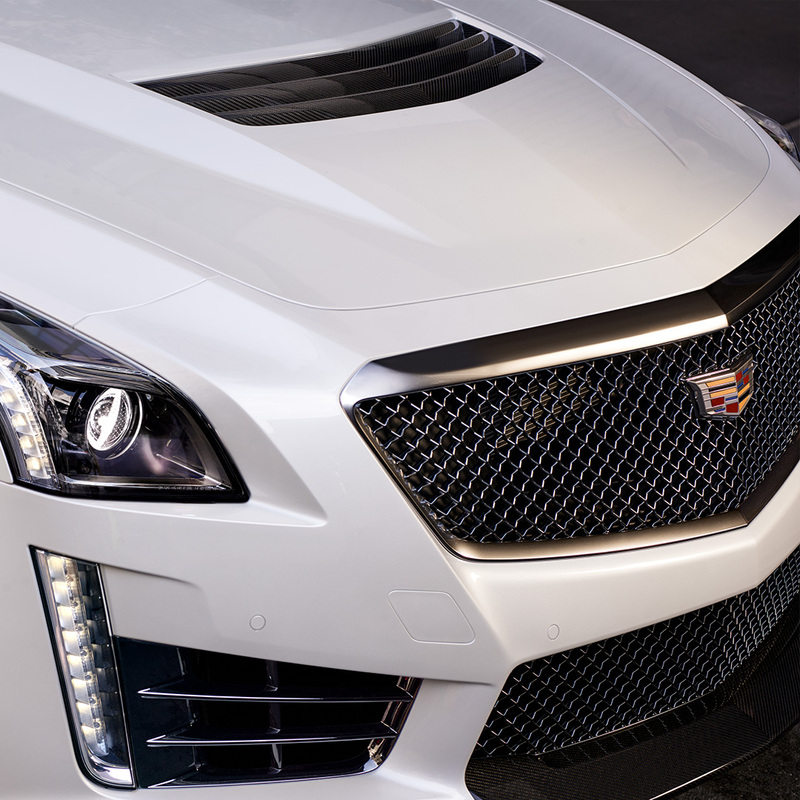 The 2018 Cadillac CTS-V super sedan is powered by a supercharged 6.2L V8 engine SAE-certified at 640 horsepower (477 kW) and 630 lb-ft of torque (855 Nm). The car is capable of 0-60 performance in 3.7 seconds and a top speed of 200 mph. The supercharged V8 engine makes more power more efficiently than the previous Cadillac supercharged engine. It employs a more-efficient, more-compact 1.7L supercharger and matches it with direct injection and Active Fuel Management (cylinder deactivation). The supercharger’s rotors are smaller in diameter than the previous supercharged engine, allowing higher maximum rpm – and quicker "spin up" that enables power-enhancing boost to be generated earlier in the rpm band. That boost is achieved more efficiently via a more direct discharge port that creates less turbulence, reducing heat and speeding airflow into the engine. The paddle-shift eight-speed automatic, which offers full manual control via steering wheel paddles, is tuned for world-class shift-response times. Smaller steps between gears keep the engine within the optimum range of the rpm band, making the most of the output of the supercharged engine for exhilarating performance and greater efficiency. Performance Algorithm Shifting delivers shift performance that rivals the dual-clutch/semi-automatic transmissions found in many luxury performance sedans but with the smoothness and refinement that come with a conventional automatic fitted with a torque converter.